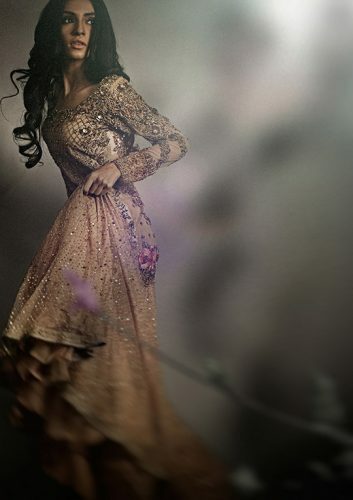 Sana Safinaz is not famous for one kind of dress all of their collections are famous for their specific designs and art work they have designed every type of dress from traditional shalwar kameez to modern dress patterns.In every season we see their summer and winter dresses which are trendy and liked by women nationwide. 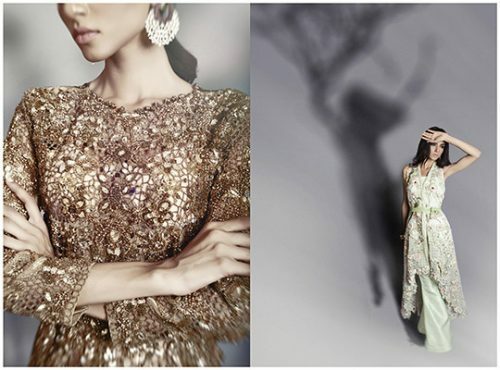 When it comes to bridal collections dresses become more luxury and different jeweled art and thread work is used many varieties are available in Pakistani wedding wear.Sana Safinaz bridal collections are always special because of their traditional and modern design look. This collection is also special like all their bridal one’e because its for the summer and autumn season the time when wedding season starts.Beautiful colors like cream,white,golden,silver and peach are used on different fabrics designers are not sticking with one fabric they have used varies fabrics that are needed on weddings of this season. 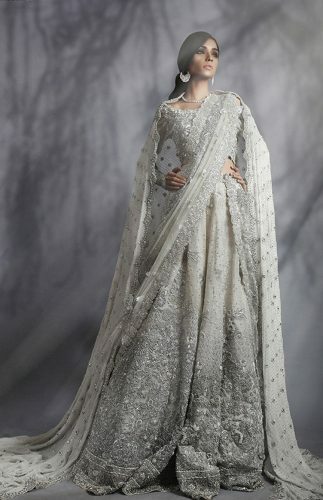 Embroidered patterns are used with golden thread work which is necessary for wedding dresses we see this type of designs in all wedding wear.These are not only bridal wedding day dresses these can be worn as a party wear too now for next few months you will be enjoying festive occasions. On festive occasions every newly wed bride wants to still look like her wedding day but more into formal dressing that’s why bridal formal wear category was introduced to maintain the bridal charm with party wear dress.Dress types of this collection are traditional and modern too you have options to choose from flared pants to jeweled trousers and sharara,gharara,floor legth long maxi and short maxi’s. 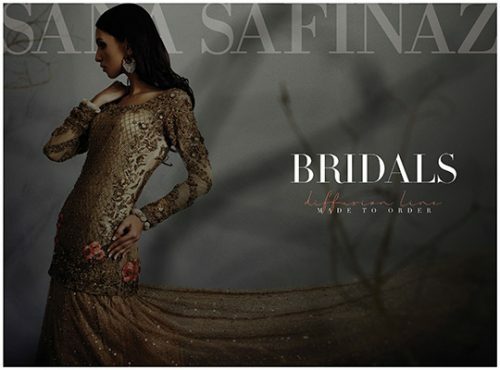 Dress quality from Sana Safinaz are always top class all of their collections are fabricated inside high quality fabrics this Bridal Diffusion Sana Safinaz Collection is available in all stores having Sana Safinaz collection or you can order online from the Sana Safinaz website.